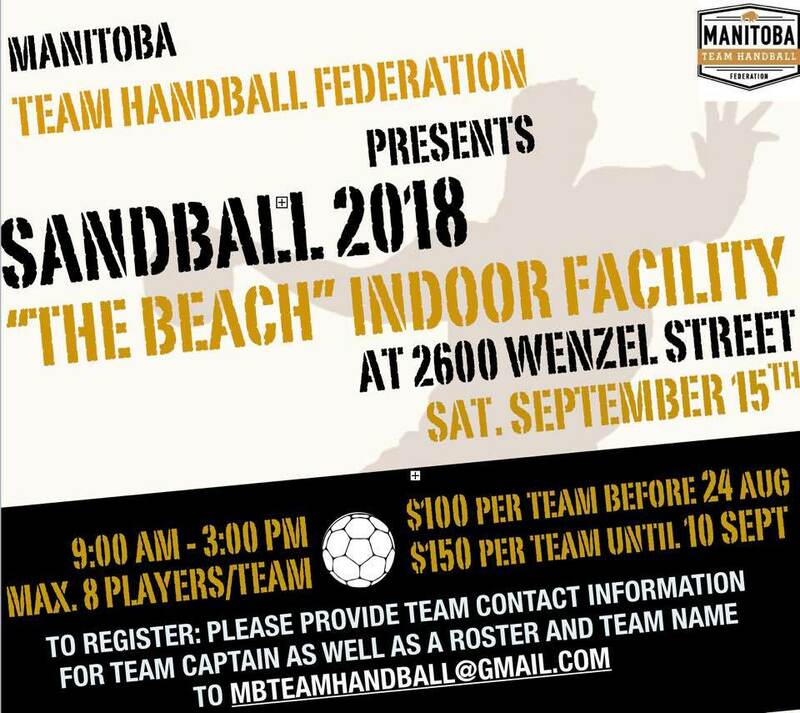 Winnipeg is the place to be on September 25th as the Manitoba Team Handball Federation will host their 2018 Sandball Tournament at the Beach Volleyball Centre. All details are in the image. Get out and enjoy some great action on the sand.